Due to the sheer scale and complexity of the Rail Industry there is a great deal of terminology, most of which has been reduced down to acronyms for ease of communication. 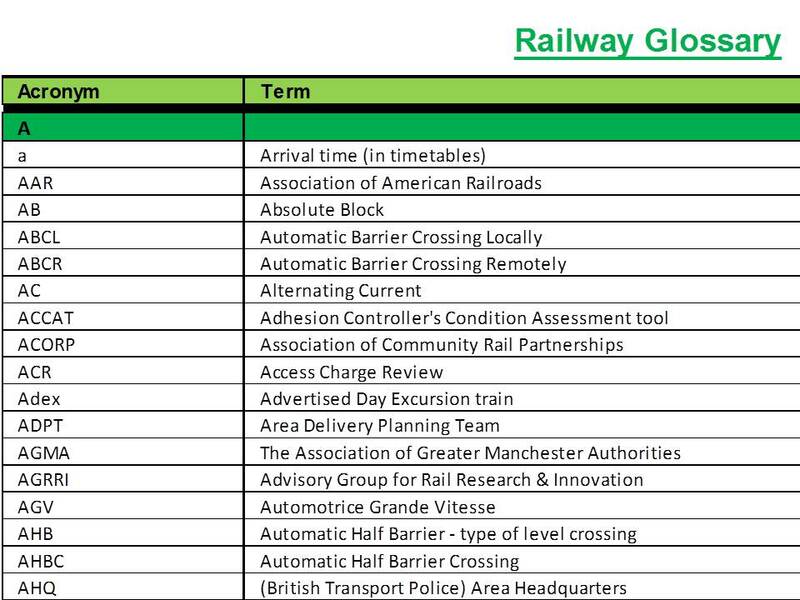 Often its easy to get lost in the myriad of terms, but a full understanding of railway terminology/acronyms is an essential to your planning toolkit. 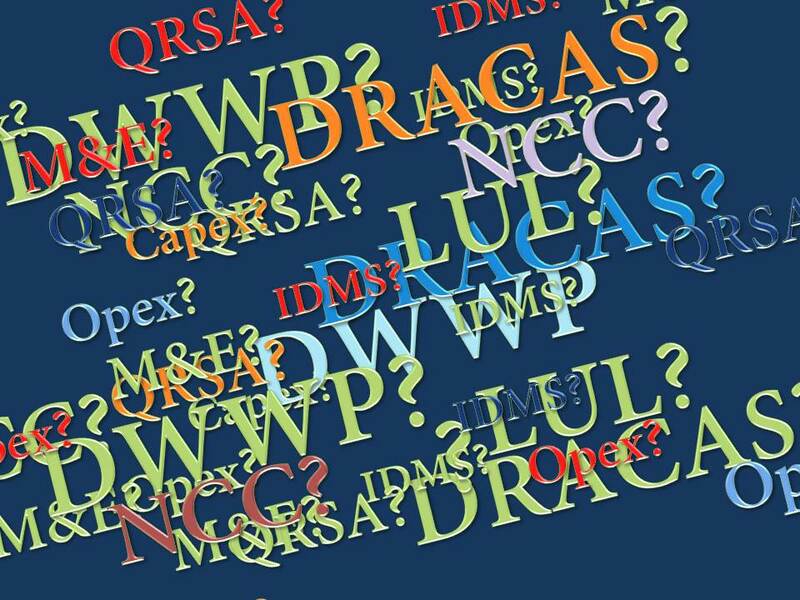 On this page there is a glossary of terms taken from various references across the industry. Please feel free to download our comprehensive glossary to aid you in the planning process.